All white, embraced by stones, opposite the litle harbour of Ai Giannis and next to the beach with the same name, with a view to holly Delos, it will charm you with the beauty of its simplicity. Created by people, who know how to invest in quality, for people, who appreciate sensual values. 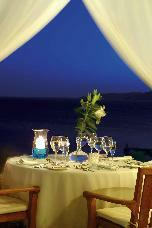 Apollonia is a small seaside 5-star hotel and resort featuring 36 guestrooms and suites on a private peninsula. Built in an amphitheatre style allowing breath taking views to the sea, the summer resort offers exceptional facilities, personalized services and quality vacation experience to all of its guests. Our luxurious resort is located on the beach of Agios Yiannis, only 4,5 km from the port and airport and just 4 km from the cosmopolitan centre of Mykonos (chora). 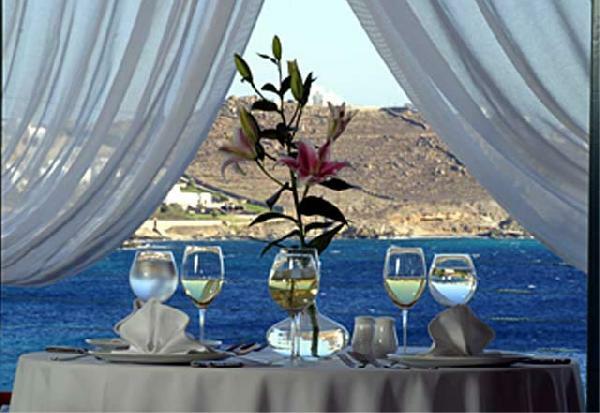 With its unique location, Apollonia enjoys amazing views to the Aegean Sea and Delos Island in a relaxing environment. Rooms and places, carefully arranged in every detail, perfect service, homely care. Event and banquet services - facilities up to 300 persons. Είστε ιδιοκτήτης ή διευθυντής στο APOLLONIA BAY RESORT; Εγγραφείτε τώρα για δωρεάν εργαλεία, που μπορείτε να χρησιμοποιήσετε για να βελτιώσετε την καταχώρησή σας και να συνδέσετε την ιστοσελίδα σας και το σύστημα κρατήσεών σας.